Shishangeni by BON Hotels is a private safari destination in South Africa’s Kruger National Park, offering a memorable Big 5 wildlife safari, a choice of accommodation in three different camps, and conferencing in the bush. Situated in the private Mpanamana Concession in south-eastern Kruger Park, Shishangeni is accessible by road and air, and provides a wonderful encounter with the African wilderness. 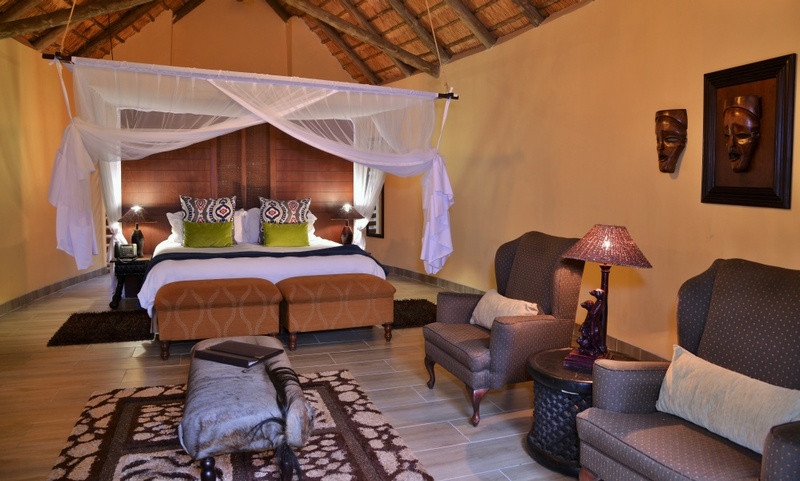 Shishangeni Main Lodge offers 22 chalets accommodating 44 guests in total. For families there are inter-leading room options. The chalets are well appointed, each with private viewing deck, indoor sitting area and fireplace. Facilities at the central area include a viewing deck, lounge area, gym and spa. Indoor and outdoor dining areas allow for variety of dining. Camp Shawu accommodates 10 guests in 5 spacious rooms overlooking the Mpanamana dam. All are luxuriously equipped with ball and claw bath, sitting area with open fireplace, ceiling fans and outdoor shower. A large verandah with reclining chairs is the perfect spot from which to watch animals come down to drink. In the central area there is a relaxation lounge area and inside and outdoor dining areas. Camp Shonga is a small, intimate bush retreat, offering 5 tented safari rooms, each equipped with en-suite bathroom with ball and claw bath, outside shower, fan, fireplace and private viewing deck. The central camp has a lounge and library, and dining spaces indoors and out. Children: All Ages. Kindly note that children under 6 are not permitted on game drives for safety reasons. There's currently no specials at Shishangeni by BON Hotels. A boardroom at Shishangeni provides a tranquil setting for conferences for up to 32 delegates. Tailor-made conference packages are provided that include wonderful African experiences.